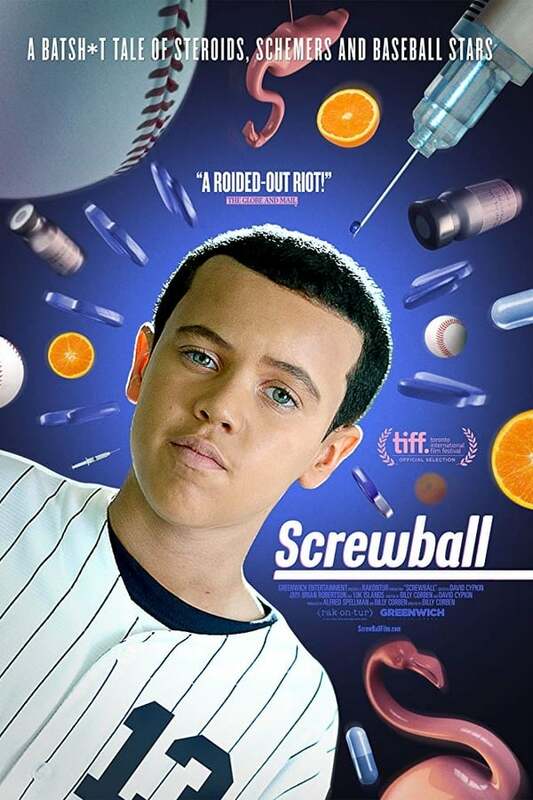 Recounting the high-profile doping scandal that rocked Major League Baseball, director Billy Corben (Cocaine Cowboys) takes us into the surreal Miami underworld that provided performance-enhancing drugs to Alex Rodriguez, Manny Ramirez and other star players. They say South Florida is a sunny place for shady people and this is certainly true of steroid peddler Anthony Bosch and his most notorious client, Alex Rodriguez of the New York Yankees. While Bosch’s medical credentials may be lacking, his storytelling skills are first rate as he hilariously details the rise and fall of his “health clinic”, including mob connections, financial chicanery, his cocaine habit, and Rodriguez’s eccentric behavior. The documentary plays like a madcap Floridian crime comedy in the vein of Elmore Leonard or the Coen Brothers while it raises serious questions about the ethics of professional sports. Powerful interests would be happy to let this story slip from memory, but Screwball makes it unforgettable.